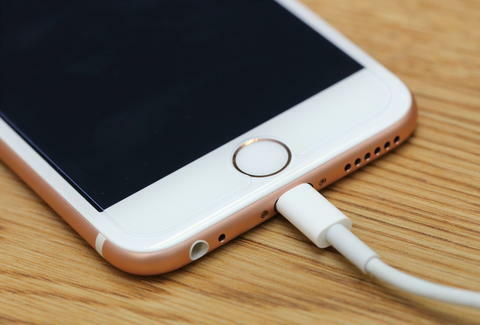 A report in the Wall Street Journal earlier this week asserted that Apple is poised to get rid of its popular Lightning port adaptor in favor of a USB-C port, meaning big changes were afoot concerning the release of the iPhone 8 next fall. Now, those rumblings are proving moot, as intel suggests that the time-honored Lightning port adaptor will remain intact. What is new, however: The iPhone 8 will be equipped with “fast-charging” hardware, capable of powering you up much quicker than previous iterations of the phone. According to KGI securities analyst Ming-Chi Kuo, the phone will deliver a faster charge through “Type-C Power Delivery” and an “L-Shaped” battery-design. It’s unclear exactly how the technology will enable your phone to charge in a pinch, but the developments do sound enticing -- especially in light of a glut of exploding iPhone reports. Per 9to5Mac, we learn the new technology might pertain to wireless charging coming to the iPhone 8 -- but then again it might not, which is why it's healthy to remain skeptical in these situations. When it comes to Apple, the analyst Kuo has proven himself prophetic, repeatedly eyeing new developments that eventually pan out. He’s often lauded for his predictions, so we have reason to take his word over the Wall Street Journal report -- which has been called shake-y by experts. Apple is looking to make a splash with its next mobile device, and it’s been routinely suggested that three editions of the iPhone 8 are scheduled to hit the market in September. So here’s what we know about that, presently: In addition to two smaller devices that hinge on a similar framework to the iPhone 7 and iPhone 7 Plus, the company is said to be developing an upmarket model that ditches the home-button, maintains a curved screen and has face-and-eye-scanning technology. And that's basically just the tip of the iceberg. Sit tight until September: We have 6 months until iPhone hysteria reaches full-tilt.